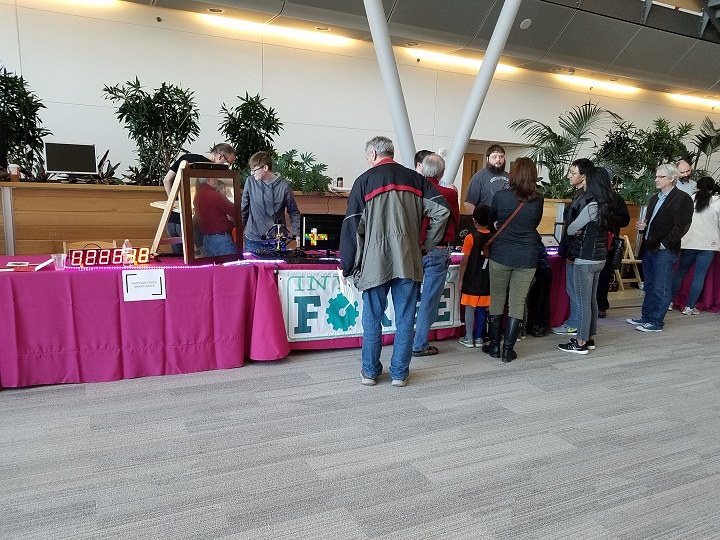 On Saturday, January 27th, 2018 the Donald Danforth Plant Science Center hosted it's annual Raspberry Pi Jam. 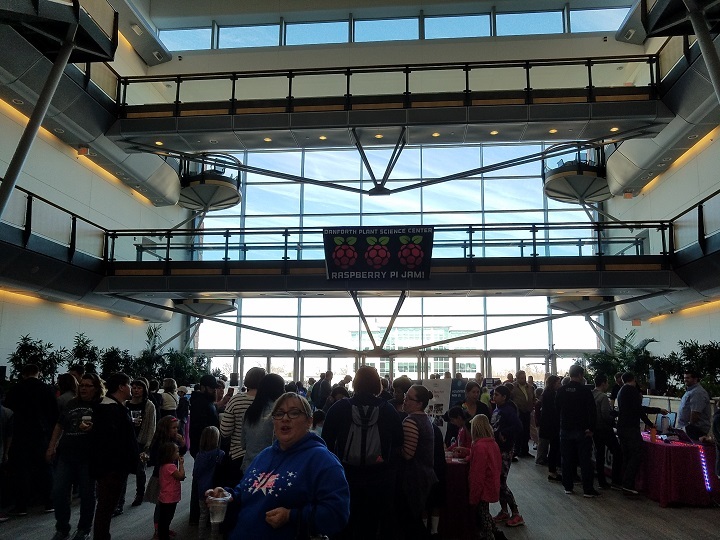 This celebration of STEM (Science, Technology, Engineering and Math) focuses on the Raspberry Pi and Raspberry Pi driven projects. The Raspberry Pi is a small, low cost computer originally developed for education. An estimated 900 people attended the event this year which is the highed turn out yet. In addition to Zagros Robotics, Agrela Ecosystems, Inventor Forge maker space, Arch Reactor maker space, St. Louis Student Robotics Association and Monsanto where among the presentors. 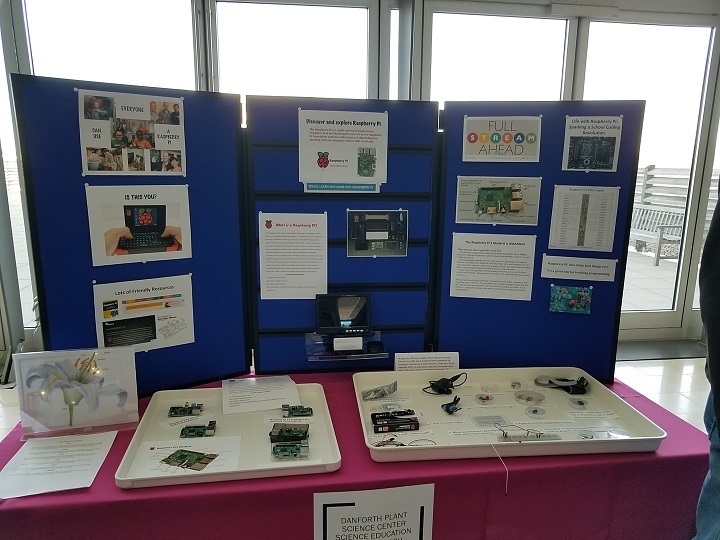 Informational display about the Raspberry Pi and some of the things you can do with it. 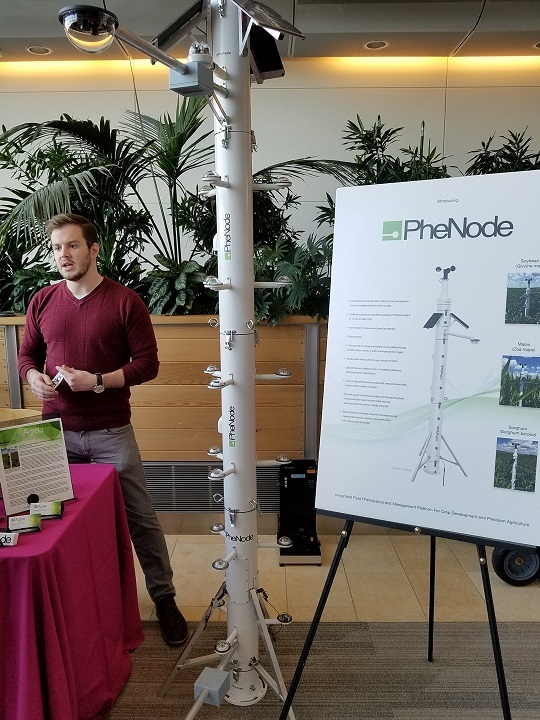 The PheNode from Agrela Ecosystems is a farm-ready, solar-powered environmental sensor and phenotyping system for crops. The device includes a suite of sensors that allow monitoring of growth rate, stem diameter, height, leaf shape, leaf angles, canopy closure, light interception and the relationship between all of these traits for crops. For more information contact Agrela at infor@agrelaeco.com. 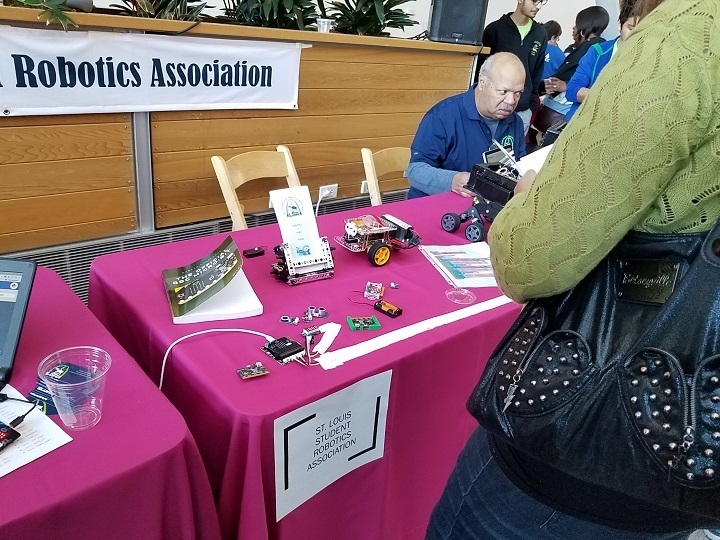 The St. Louis Student Robotics Association featuring several different robots, many controlled by the popular Micro:bit. Inventor Forge Maker Space brought a smart mirror and a Rubix Cube solving robot. If you are interested in setting up a Raspberry Pi workshop for your organization contact us at info@zagrosrobotics.com for more information.